Carex Genus sedges Cyperaceae (Flora of North America Editorial Committee 1993+). 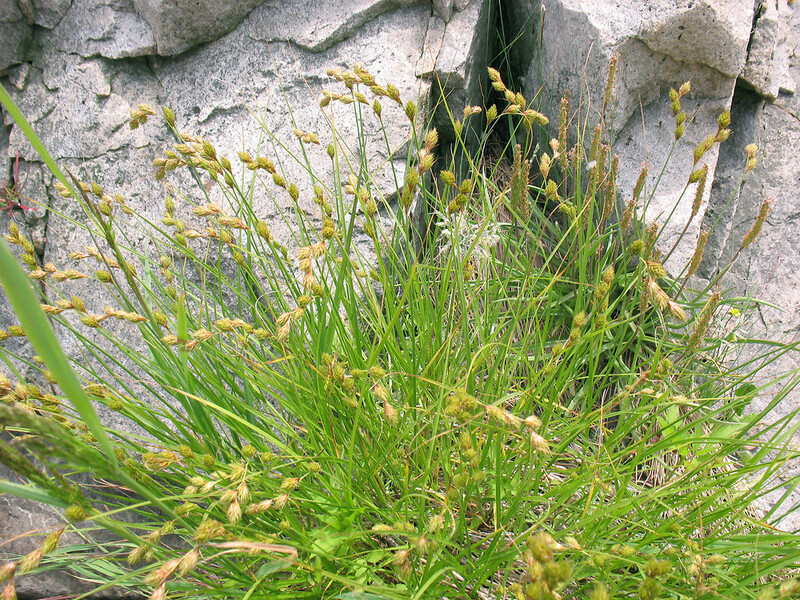 Carex Genus C. hormathodes plant. By Marilee Lovit. Copyright © 2017 Marilee Lovit. New England Wild Flower Society. gobotany.newenglandwild.org (Accessed 12/2017). 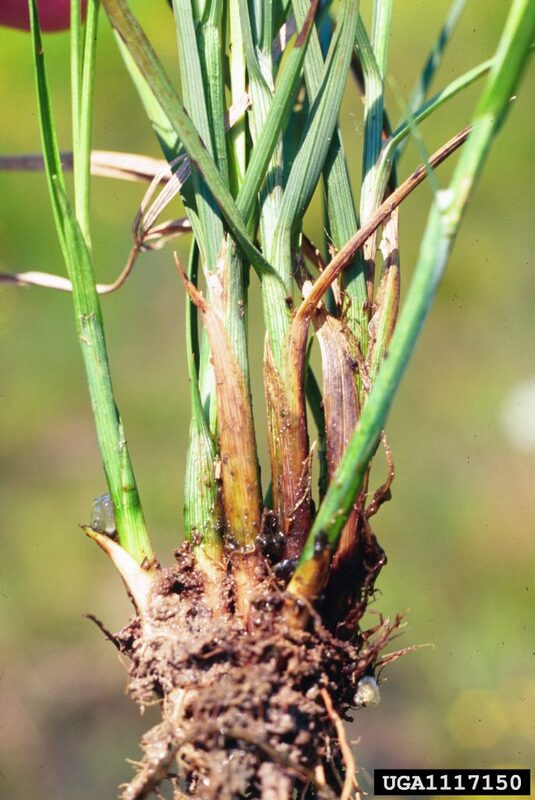 Carex spp.are grass-like plants (see Cyperaceae) all have C3 photosynthesis (Bryson and Carter 1977). 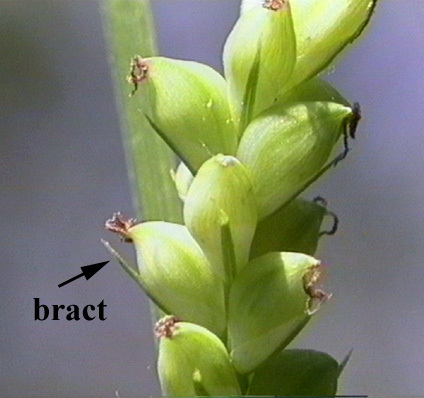 Stems often 3-sided, usually solid. 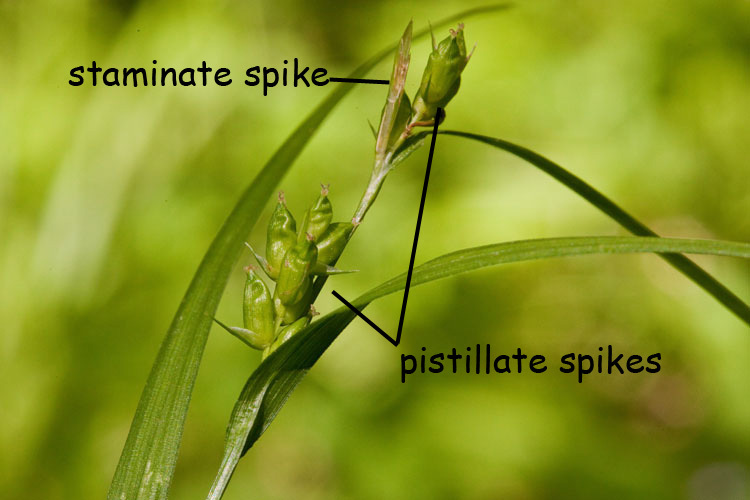 Carex Genus, Carex oklahomensis (plant base). Charles T. Bryson, USDA Agricultural Research Service, Bugwood.org licensed under a Creative Commons Attribution 3.0 License (Accessed 12/2017). Leaves alternate, grass-like. Often with bladeless leaves at base of plant. Flowers papery, male and female flowers are separate (monoecious) usually on the same inflorescence, the female flower is composed of a sac-like perigynium, without petals or sepals, the top of the perigynium is open and is often extended into a beak that may bear two tooth-like points at its tip; there is also a scale-like bract at the base of each perigynium; the male flowers consist of 3 stamens above a scale-like bract, Male flowers are often in a separate spike at the top of the inflorescence, or sometimes clustered at the top or base of the female flower spikes. Carex Genus., perigynia.Texas A&M University, Center for the Study of Digital Librarie. botany.csdl.tamu.edu (accessed 12/2017). Fruit dry, enclosed in enlarged perigynium; a 1-seeded achene.